Democrat lawyers have descended on Florida in order to steal the Senate and Governor elections from Republicans. Hillary Clinton, Perkins Coie and other DC swamp dwellers are now working round the clock to install their radical left-wing candidates. In a series of urgent tweets, Senator Rubio said late Tuesday evening that Democrat lawyers are actually asking a judge to change Florida election laws AFTER the election in order to steal the Senate and Governor seats. “For example, Florida law requires that the voter signatures on mail ballots match the signature of the voter, but Dem lawyers are asking a judge to throw that law out & force Florida to count ballots with signatures that don’t match the voter signature on file,” Senator Rubio explained. “Now Dem lawyers want a judge to order Florida to ignore this intent standard when reviewing “undervotes”” Rubio added. “In short, Dem lawyers came to Florida to get judges to change Florida elections laws, AFTER the election. 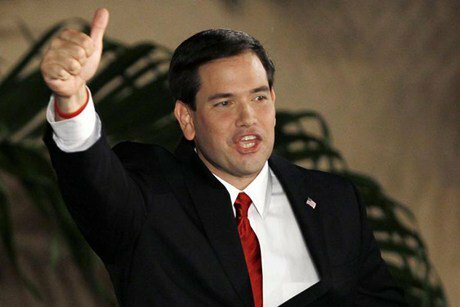 That isn’t a strategy to win an election, that is a strategy to steal an election,” Rubio said. Broward County and Palm Beach County are deliberately delaying their recount efforts in order to pass the election over to lawyers and judges, Senator Marco Rubio said Tuesday morning. On Tuesday afternoon, a judge ordered the recount in Palm Beach County to be extended to November 20th. This is five days after the initial Thursday deadline. The Florida recount is a disaster! Where is the GOP?? Where is the Attorney General? The post Rubio Sounds the Alarm: Democrat Lawyers Now Asking Judge to Change Florida Laws to Steal Election appeared first on The Gateway Pundit.